John Coltrane had come out of detox and benefited from a stay with Thelonious Monk. Miles, back from Paris where he had recorded the music for Louis Malle’s film Lift To The Scaffold, added Cannonball Adderley’s alto to his quintet. Trane’s cubist abstractions and Cannonball’s bluesy lyricism offered him the contrasts that he was looking for, while his rhythm section provided the intensity of a Formula 1 racing car and the comfort of a limousine for every tempo. He had complete confidence in his bassist Paul Chambers, to whom he left long, sometimes bowed, solos, and he and Philly Joe Jones seemed to have telepathic communication. Red Garland, however, was tiring of Miles’ demands to increase the piano’s entrances and exits. One day he got up in middle of a session on “Sid’s Ahead” and left the piano to the trumpeter. At the height of his instrumental art, Miles was searching for a way to free himself from the harmonic constraints imposed by the piano. This is the significance of the composition “Milestones,” in which a simple alternation of two harmonic colors replaced the tortuous progressions of bop. 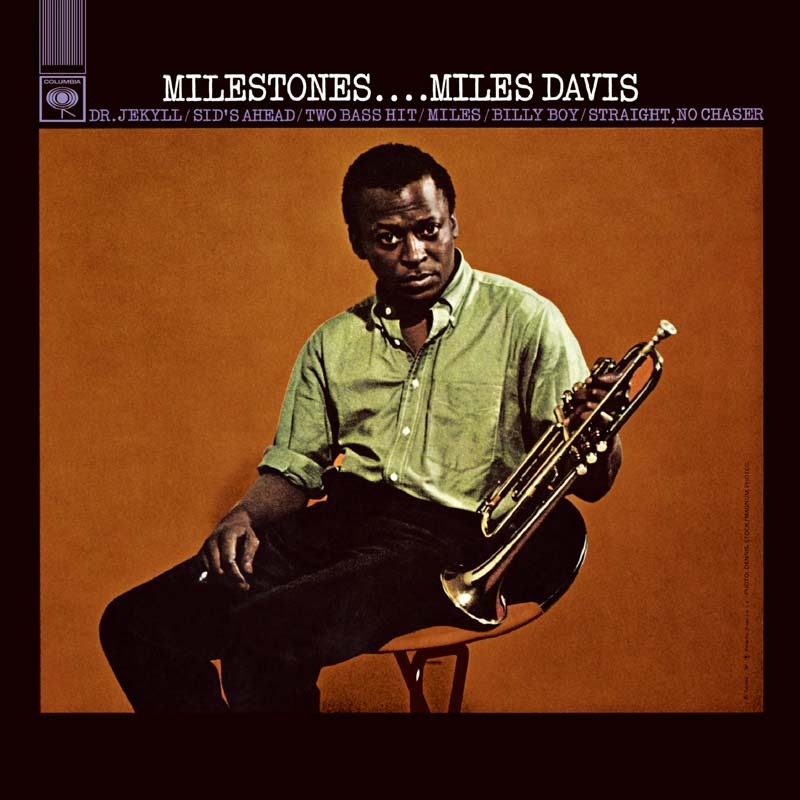 Miles had entered the world of modal jazz. On track 5 only the rhythm section plays.